28 September, Westkapelle, Veere, Zeeland, adult, wearing metal ring, ring read (HT091455), photographed (P A Wolf et al; Dutch Birding 29: 406, plate 592, 2007). 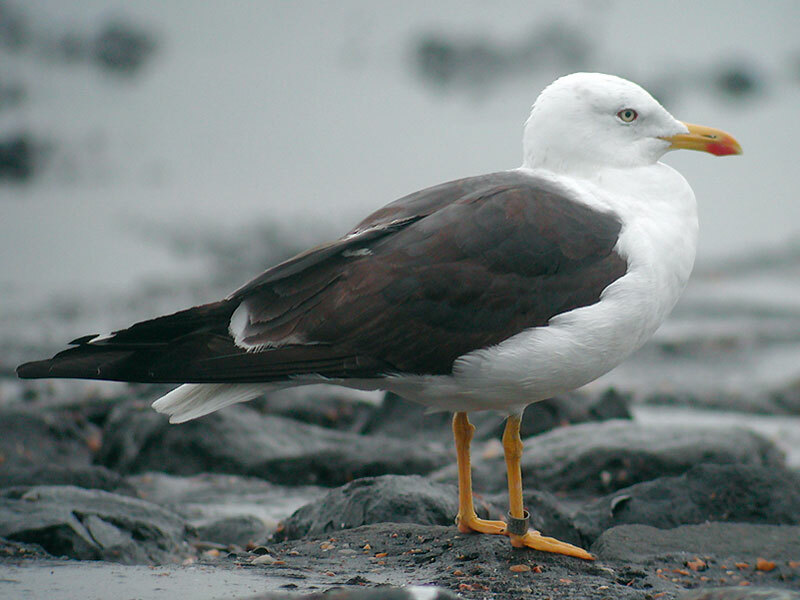 Both individuals had been ringed as nestling in the Vaasa region, Finland: the Westkapelle bird 20 years before at Munsala on 9 July 1987 and the Groningen bird at Pietarsaari on 6 July 2006. All previous records concerned individuals ringed in Finland as well: on Vlieland, Friesland, on 18 December 2001; at IJmuiden, Noord-Holland, on 20 September 2002; at Westkapelle on 16 October 2004; at Amsterdam, Noord-Holland, on 25 June 2005; and again at Amsterdam on 25-27 May 2006. Without a ring, the taxon is not considered to be acceptable. Annual Report 2007.